As Head of Certification, Anna works closely with key stakeholders in government and across the Creative Sector industries to provide advice and guidance on the application processes for all of the cultural tests, co-production treaties and policies relating to all of the Creative Sector tax reliefs. She has an extensive knowledge of all the creative sector tax reliefs, cultural tests and co-production treaties and has been instrumental in assisting the government with the structure of new cultural requirements as each of the new creative sector reliefs has been introduced. Anna has also led BFI’s responses to Government consultations on the new reliefs and HMT’s VFX consultation. Anna regularly speaks on panels at conferences and events to promote the tax reliefs such as the Children’s Media Conference, Glasgow Film Festival, Develop and many others. In addition, Anna has organised BFI led seminars and events for the Animation, Video games and Children’s Television Sectors. Anna was also involved in the setting up and the introduction of the BFI’s Diversity Standards which apply to BFI supported projects with National Lottery funding and are assessed by the BFI Certification Unit. 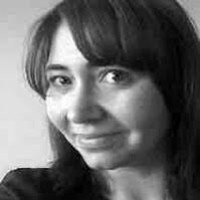 Anna is a member of the BFI Diversity steering group, the Production Guild of Great Britain and Women in Film & TV. The BFI Certification Unit and Sheridans present a tutorial on how and why you should set up a limited company so you have the best foundation to enable you to create great games. The talk features a step-by-step guide on how to set up a company at companies house, a summary of how much this costs and a discussion on how to best position this company to access private and public sources of finance. Do I need to register a limited company if I'm making games? Find out why you definitely should, how to do it, and what it costs. - You should I set up a limited company ASAP. - You have a strong idea of how to do this and how much it will cost. - You have an overview of what investors look for in a company (rather than a game). - You have an overview of different sources of public funding in the UK and details on how to access video game tax relief.